A WAR memorial dedicated to a soldier tragically killed as he waited to be transferred back to England carrying his comrades’ letters from the front has been given protected status. To mark the centenary of the Battle of Passchendaele, the memorial cross at Hamsterley Colliery, near Consett has been given Grade II-listed status by Historic England. The memorial cross was erected in the days after the First World War to honour the 59 men from the village who had paid the supreme sacrifice on the battlefield. But it is specifically dedicated to Major Arthur Toward Watson, whose family ran the local colliery, and who died at Passchendaele. 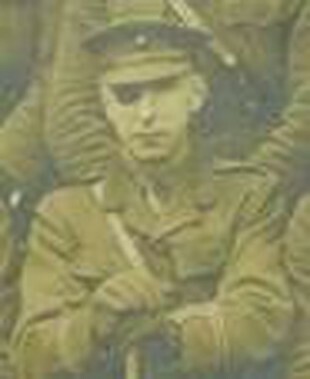 Watson, a keen horseman who lost his right eye in a shooting accident before the war and was nicknamed Patch by his comrades, was badly wounded at the Battle of the Somme and came home to recover. But, despite being 47-year-old and a father of two, he returned to France with the King’s Royal Rifle Corps in June 1917 and led his men in action at the Battle of Messines. Early in the Battle of Passchendaele, because of his age, he was posted back home to a desk job, but asked to go into the line one last time to say goodbye to his friends before he left. As he picked up a bundle of soldiers’ letters to take back with him, an enemy shell exploded nearby and he was fatally wounded. An eyewitness account said: “Our farewells exchanged he turned to go, when his eye fell upon a package of letters, his company’s mail waiting to go down the line. ‘Can I take those with me for the last time?’ he asked. ‘Of course,’ the colonel replied with a smile. “Our guest stooped to pick up the small bundle and at that moment a shell burst beside him”. The memorial was updated after the Second World War with the names of 24 men killed during that conflict and was restored in 2000, but has now been given added protection with the Historic England listing. The Battle of Passchendaele began on July 31, 1917 and was one of the most savage of the entire war which ended with an estimated 600,000 casualties. On the eve of the centenary, five war memorials have been given new listings and eight have been upgraded as Historic England marks the anniversary. “Passchendaele was a truly grim affair, waged over three muddy, bloody months. “It succeeded in wearing down the Germans and taking pressure off the French, but at a high cost in lives”.